constantly featured on TV, radio, newspapers and online. 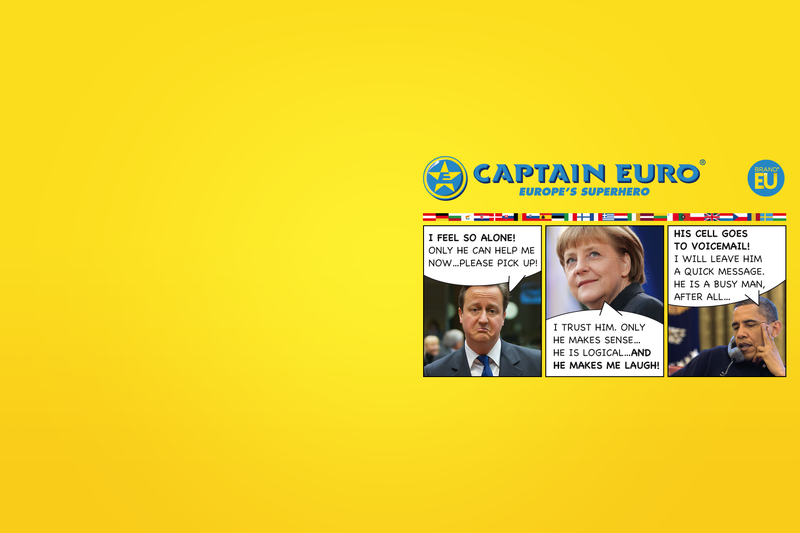 LATEST COVERAGE OF EUROPE'S SUPERHERO! 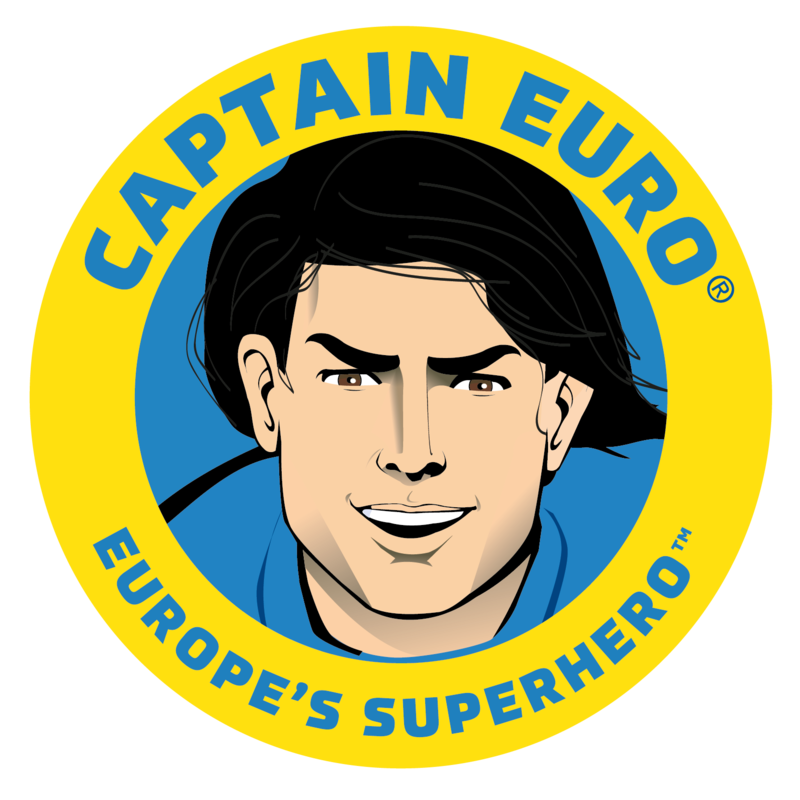 Captain Euro®, Europe’s Superhero™ is the leader of the European Super Force™ (ESF) action team. Together they defend justice and freedom and fight foreign and domestic enemies, including the evil VIPERA crime syndicate, led by Dr. D. VIDER. 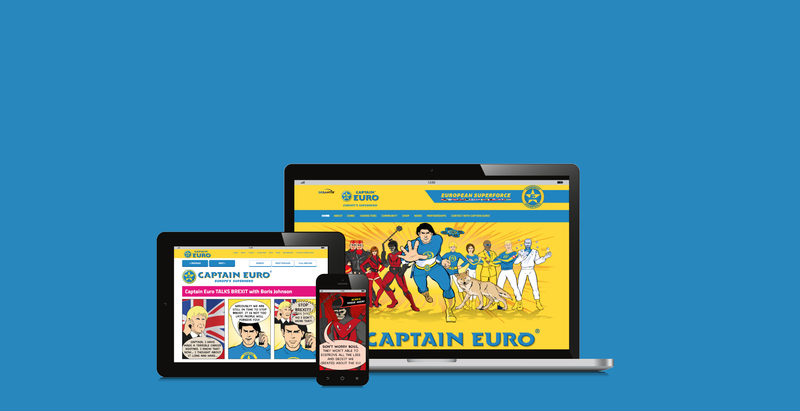 As Europe’s Superhero, Captain Euro works to make Europe’s brand more united, entertaining and fun! VISIT THE OFFICIAL MERCHANDISE SHOP! You’ve waited a long time for this. Finally, being a European is supercool! 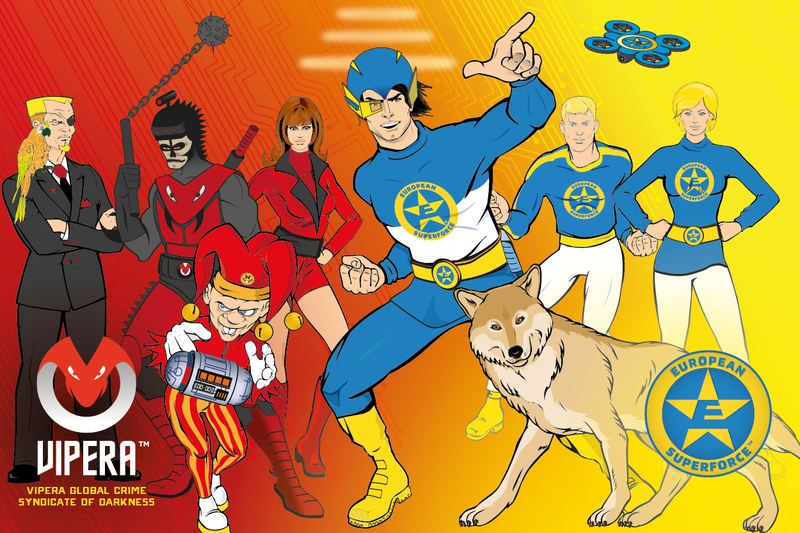 Join my EUROPEAN SUPERFORCE™ team fighting VIPERA™ evil crime syndicate and their associates trying to divide Europe. Wear my official gear including T-shirts, hoodies, bags and other cool accessories! Spread the message of European power, justice, unity and peace! 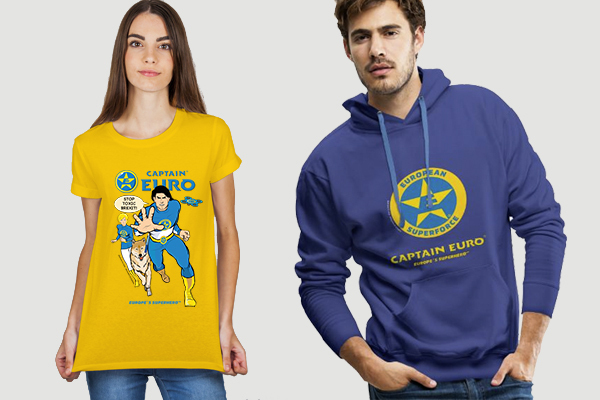 Who are your favourite Captain Euro characters, sidekicks, and villains? The DESANTIX Captain Euro Universe has a cool cast of supporting characters, including the members of the EUROPEAN SUPER FORCE (ESF) and the bandits of the evil VIPERA crime syndicate. 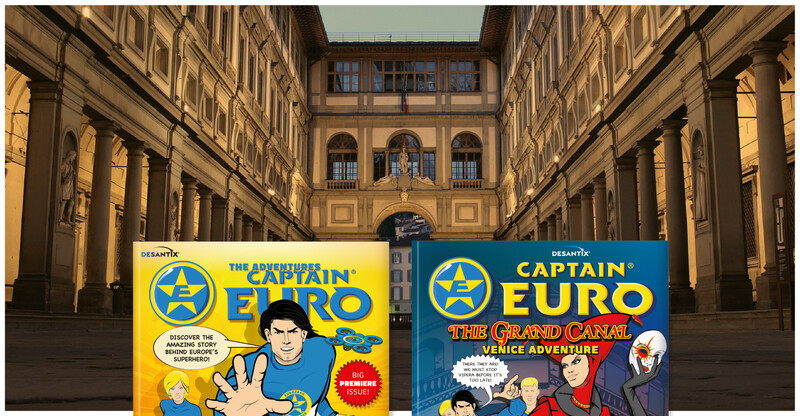 Learn about Captain Euro himself, Europa, Pythagoras 1, Helena, Marcus, Dr. Divider, Scario, Mala, Ninot, The Twins and many more.